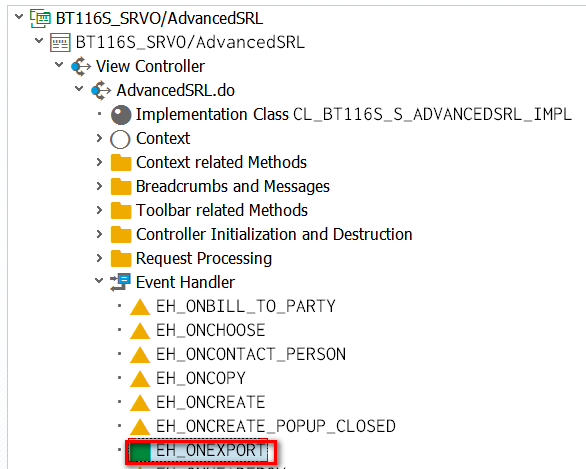 In WebClient for configTable control there is a functionality to export the whole table content as an excel. Only simple steps are necessary to support export with PDF format as well. The achievement would be: a new button is added to table toolbar. Once pressed, a new PDF with all table records are displayed. Required steps are briefly listed below. 1. Create a new post exit on class CL_BTSRV_ADVSRL_CNTRL, method PREPARE_TOOLBAR, in order to add a new button for PDF export in table toolbar. CLASS cl_btsrv_advsrl_cntrl DEFINITION LOCAL FRIENDS lcl_zexport_button. TYPE REF TO cl_btsrv_advsrl_cntrl OPTIONAL. *" Declaration of POST-method, do not insert any comments here please! ls_button-text = 'Export to PDF'. CHECK io_col_wrapper->size( ) > 0. WHILE bol IS NOT INITIAL. lv_query = lv_query && ',' && bol->get_property_as_string( 'GUID' ). lv_query = 'uuid=' && lv_query. 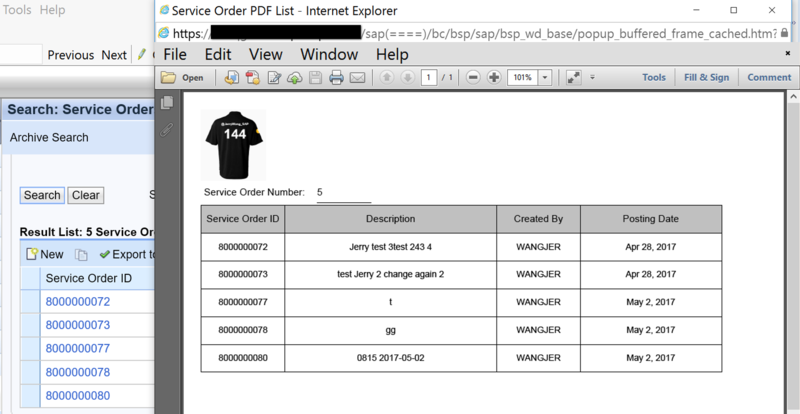 DATA(lv_title) = 'Service Order PDF List'. iv_title               = CONV #( lv_title ) ). 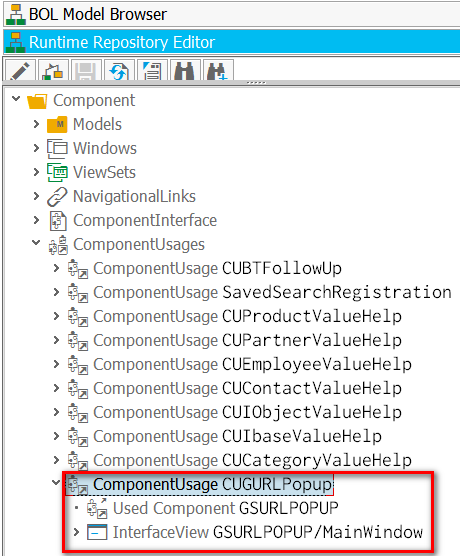 DATA(lr_cn) = lr_popup->get_context_node( 'PARAMS' ). DATA(ls_params) = VALUE crmt_gsurlpopup_params( url = lv_url height = '1000' ). The complete source code of cl_crm_order_2_pdf could be found here. 4. 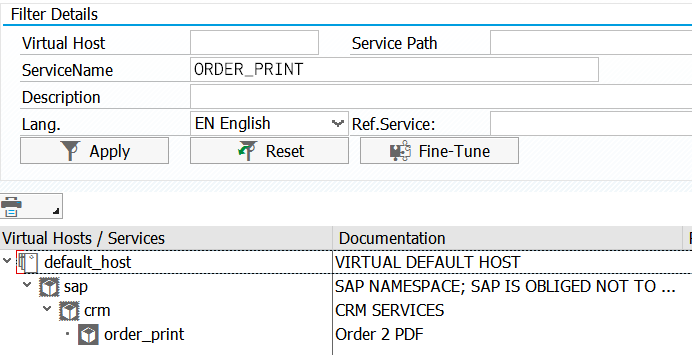 In step 2, the ICF service /sap/crm/order_print is declared but not implemented, so we have to create it in this step via tcode SICF. CONSTANTS c_linelen TYPE i VALUE 255.
lt_data            LIKE TABLE OF wa_data. DATA(lv_uuid) = server->request->get_form_field( 'uuid' ). CONCATENATE ls_guid_str '.pdf' INTO DATA(lv_filename). value = CONV #( lv_contenttype ). 5. 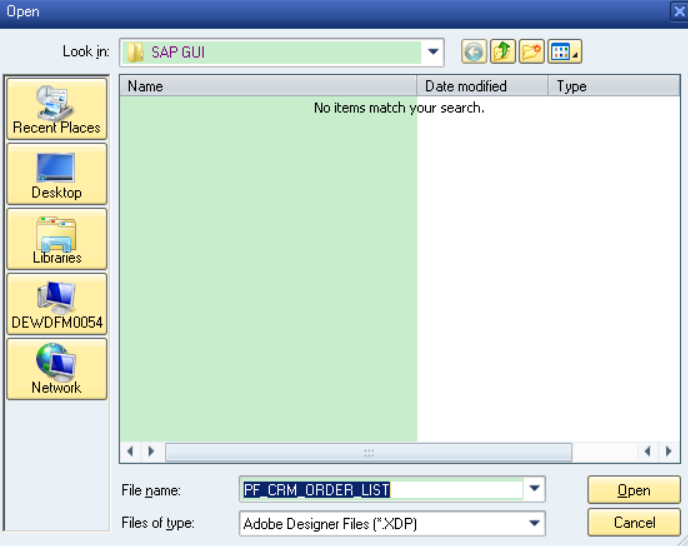 Develop an Adobe Form to display the table content. The table in the Adobe Form must behave as so called “data-driven” way, which means the table content in the PDF must grow according to the actual data passed into the PDF rendering processor. (2) The table content row must be bound to a context node which has 0:n occurrence, and the “Repeat Row for Each Data Item” checkbox must be enabled. 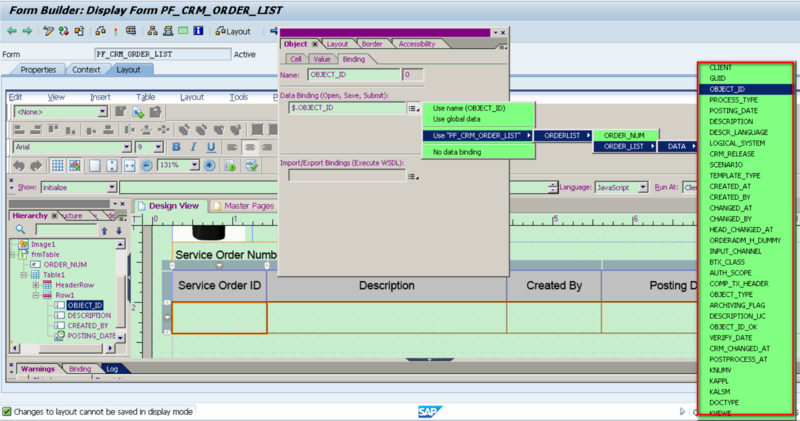 As in step 4, I use a SELECT * from CRMD_ORDERADM_H as the data source for this template, which means you can bind any field in ABAP structure CRMD_ORDERADM_H to the table cell in PDF, as illustrated below. 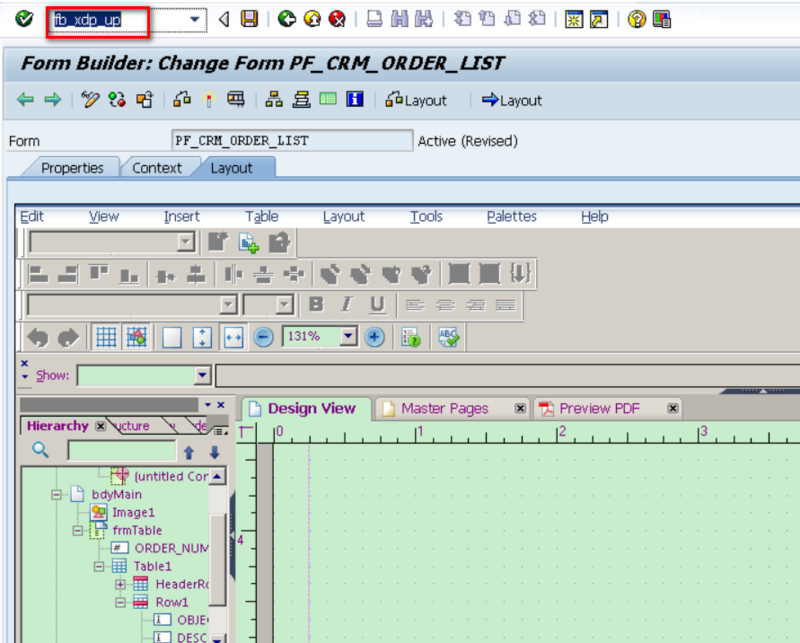 Activate both form interface and form template and the corresponding PDF would be generated now once export button is pressed.